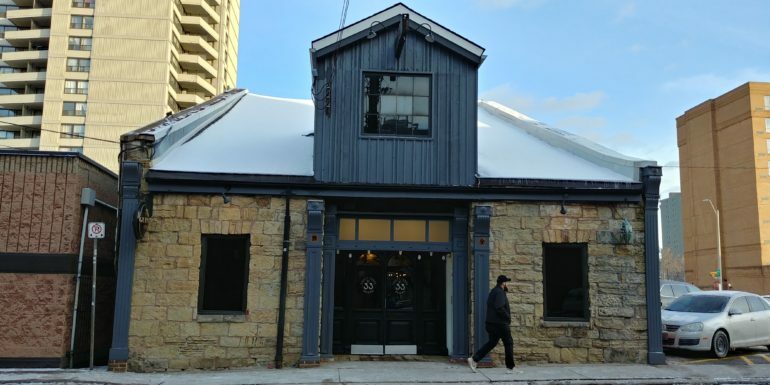 33 Bowen, another venture of the Unique Restaurant Group (behind The Powerhouse, The Vicar’s Vice, Southcote 53, Pluckers, The Dickens, Don Cherry’s Bar and Grill, The Augusta House and Pheasant Plucker), officially opens to the public today – Saturday January 13th. 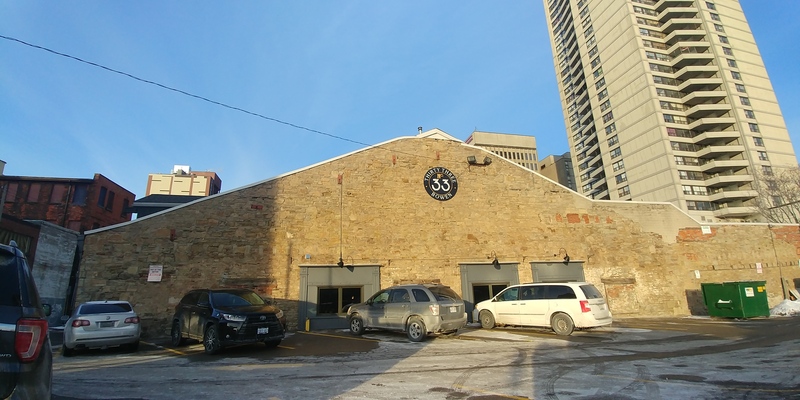 33 Bowen is located in the historic building on Bowen Street, near John Street, formerly the Slainte Irish Pub building…though it has quite a history in the city! The location was built by James Bradley in 1844, on lands purchased from George Hamilton himself. Originally, the building was used as a stable and for blacksmithing. With the popularity of his business, Bradley added a second floor and created a hotel. A ways down the line in the 1940s, Vernor’s Ginger Ale used the building as their warehouse and distribution centre. In the 1960s, the building now housed the City Chevrolet Oldsmobile storage, parts and repair centre. 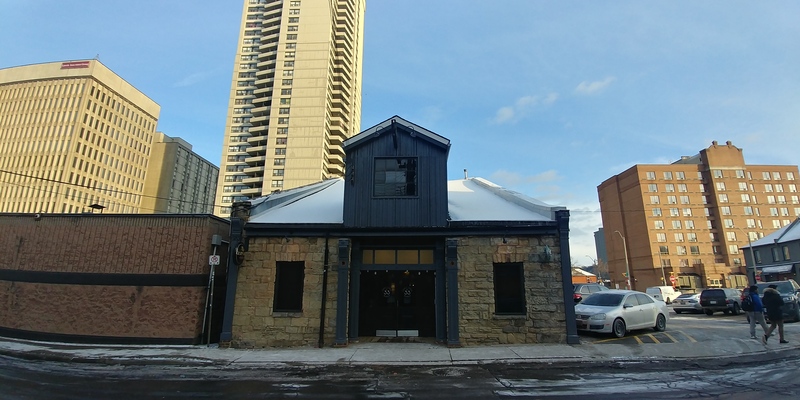 Once 1977 rolled around, the building became the first The Keg Steakhouse in the Hamilton area – starting out the culinary history of 33 Bowen Street. 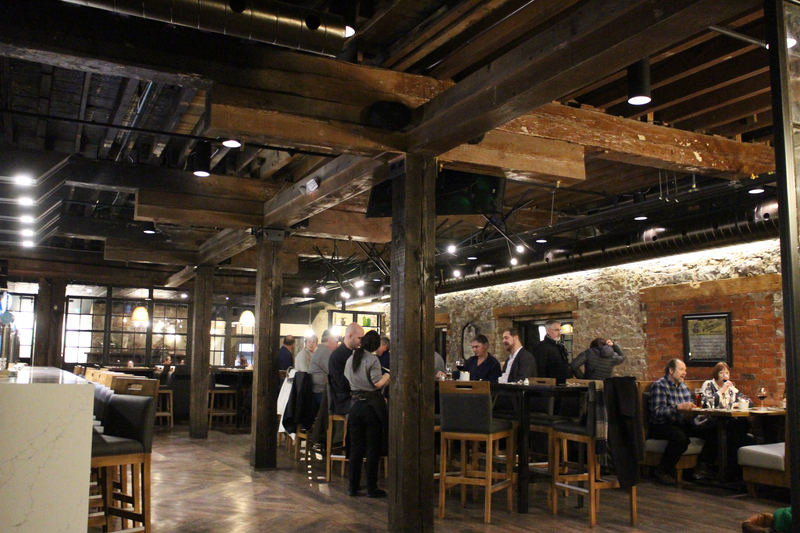 The Keg Steakhouse eventually moved to their Hamilton Mountain location, and Slainte Irish Pub took over the restaurant. 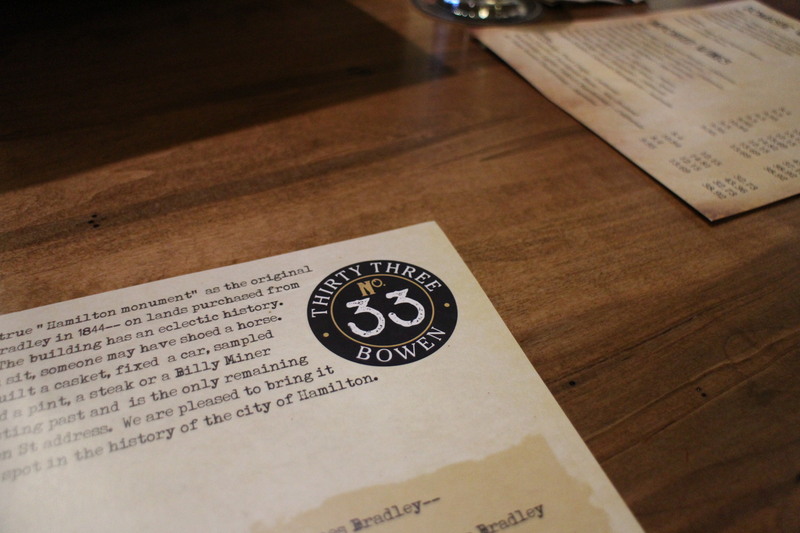 With a few renovations and a new facelift, the restaurant opens today as ‘33 Bowen’. 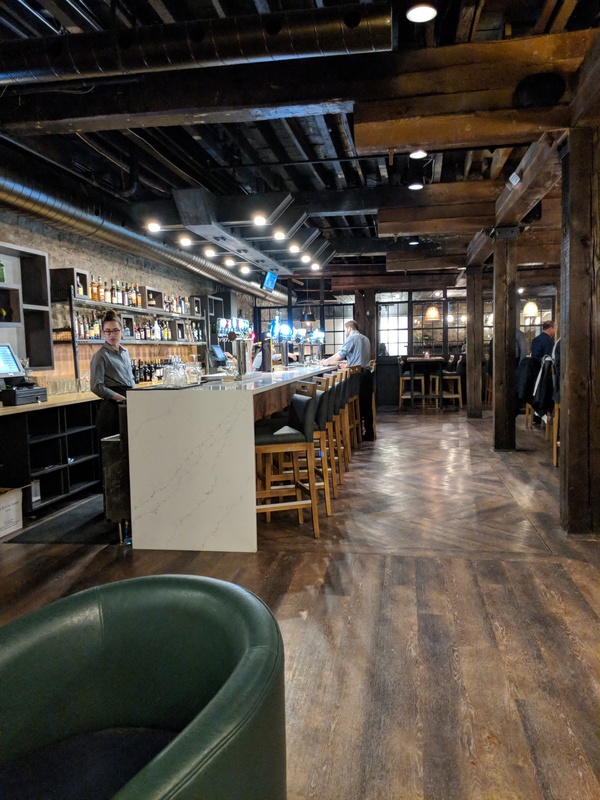 Elements from the warehouse years of the building are peppered throughout the interior, with rich wood beams and accents, rough construction-style exposed brick walls, and large glass window panes. 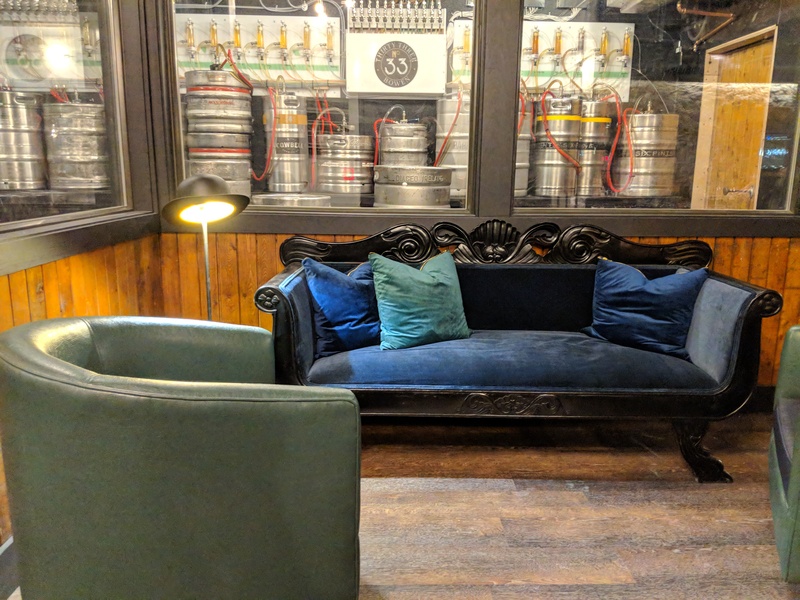 These features are offset with an elegant white marble-style bar, modern lighting, comfortable vintage furniture in the waiting area, and wicker baskets full of woolen blankets. 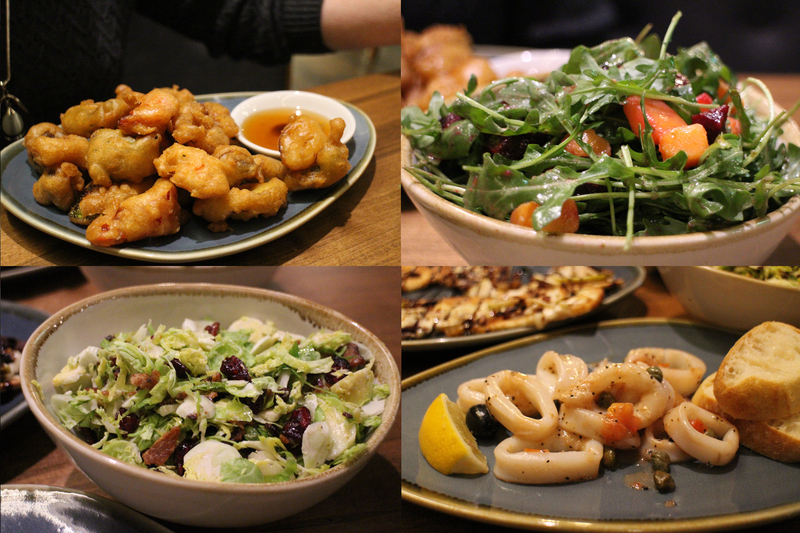 The menu is a mixture of classic favourites, mingled with modern international eats, and fresh produce, but the focus seems to be on comfort food. On their menu you will find ‘Snacks’ (like Pan Seared Calamari and Bacon Confit Duck Wings), ‘Salads’ (such as their Winter Salad with Roasted Beet and Sweet Potatoes), ‘Hand Helds’ (Beef Cheek Reuben, Toasted Chicken Waldorf and Banh Mi), ‘Meals’ (like Fish and Chips, Pork Belly with au gratin potatoes, Pad Thai and Pan Seared Duck Breast), and ‘Sides’. 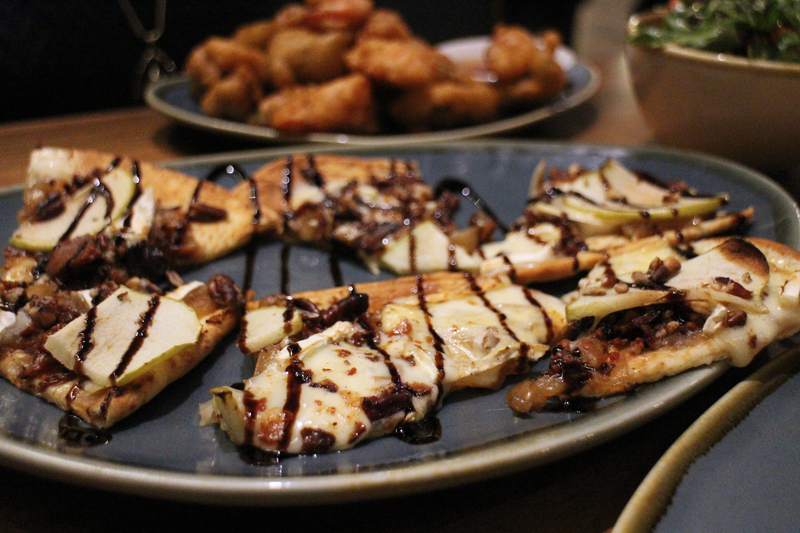 If you’re a Brie fan, try their Naan Flatbread, a toasted flatbread topped with brie, caramelized onion, bacon, apple, pecans and balsamic reduction. In keeping with the Slainte’s Pub tradition, 33 Bowen will also host live music events which can be found on their website.